From video games with titles like “Kung Fu Volleyball” to a board game about classical Greek fisticuffs to a concert of rocking video game music, the second Boston Festival of Indie Games at Massachusetts Institute of Technology this Saturday, Sept. 14, promises crazy quantities of fun. If you've never been to a gaming convention before, BostonFIG would be an excellent place to start: it's a manageable one day long, you'll get to see (and support) a wide range of regional gaming and game-related talent, and best of all, it's free. Idle Action Studios, a company based in Cambridge and Arlington, will be demoing "Candlelight," which draws from the look of traditional shadow puppetry. In this PC game, a boy and a girl, each with their own powers, explore a mysterious world full of forces that seek to thwart their path. It's a “Showcased Game” for BostonFIG 2013 and therefore competing for one of the festival prizes. "’Candlelight’ is a stylistically minimalist 2D puzzle platformer where players control two characters at once," says Solomon Lutze, who describes himself as the "head and hands" of Idle Action. "The themes underlying the game are identity, perception, and performance. Our goal at BostonFIG is to show off the mechanics, art, and gameplay, we hope that as the game comes together those themes will become more evident." Lutze is attending this year in search of exposure, contacts, feedback, and fans. "At BostonFIG we want to get our game in front of as many people as possible, to get feedback on what we've done, and try to determine what it is about ‘Candlelight’ that people find fun and interesting. We're also looking to network with the Boston indie game developer community. It's really a wonderful group of people, and we hope that by showcasing our game we can help make the event a success for ourselves, other developers, and the people who play indie games." "’Nika’ is a two- to four-player abstract board game based on ancient Greek warfare," he explains. "Simple mechanics of directional facing and movement in formation create endlessly complex strategies. It takes only about 10 minutes to learn and 30 to play, but its strategic and tactical depth quickly reveals itself." "On Saturday, I'm just hoping to gain exposure for ‘Nika’ and for Studio Mercato, with whom I'm cross-promoting ‘Crystal Brawl,’ a digital game I'm helping to design and program," says Raab. "I suppose an award or two would be nice as well, but I'm sure the competition will be fierce." Last year's BostonFIG drew 2,000 attendees. This year it expects to welcome three times that, and has prepared accordingly by taking over the Stratton Student Center and spilling into nearby buildings at MIT. Organizers overfunded a $15,000 Kickstarter campaign for this year's festival by $2,800, and they are using the funding to bring in live music and celebrity speakers, expand the scope of displays to include a game art exhibition, increase the area for tabletop gaming, and generally make the event a bigger phenomenon. Vendors. In addition to “Candlelight” and “Nika,” attendees can talk with the creators of several dozen digital and tabletop games. Check out, among many others, ”Kung Fu Volleyball” by KO-OP Mode of Montreal, and “Hatch” by Aerjen Tamminga, described as "a game for 2 to 6 players where you hatch monsters and lead them to a spectacular death in the arena." Speakers. The festival emcee is Brian O'Halloran, famous for his performances as Dante Hicks in several Kevin Smith movies and a longtime, avid gamer. 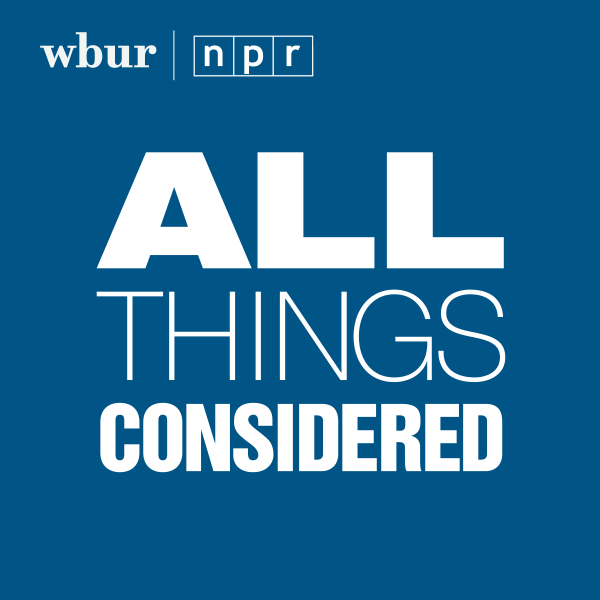 He will be speaking with Ethan Gilsdorf, author of ”Gaming Geeks: An Epic Quest for Reality Among Role Players, Online Gamers, and Other Dwellers of Imaginary Realms” (and a WBUR.org contributor), about how “Dungeons & Dragons” changed their lives. Keynote speakers include Robin Hunicke, executive producer of the game “Journey” for the PlayStation Network, and Chris Remo, a developer, composer, and video game journalist. Film. BostonFIG will be screening ”Zero Charisma”, which premiered at South by Southwest 2013. "Metal-loving gamer geek Scott Weidemeyer lives with his ornery grandmother and works a lousy job at a donut shop. But every Tuesday night, he is the omnipotent Game Master, guiding his role-players through a tabletop journey of fantasy and adventure. However, when neo-nerd hipster Miles joins his game, Scott begins to resent the admiration Miles receives from the other players. To make matters worse, the health of his grandmother begins to falter, and his estranged mother visits town, reminding Scott of a childhood he‚Äôd just as soon forget. Caught in a spiral of rage and delusion, Scott is forced to take drastic steps to reclaim his honor, and his identity as the Game Master." Advice from the pros. Industry professionals will be offering short talks all day for aspiring developers, covering topics from "Creating Multi-Platform Game and Graphics Optimization" by Carl Callewaert of Unity Technologies to "How To Do Your Own PR (and When Not To)" by John O'Leary of TriplePoint. Interactive Fiction. The People's Republic of Interactive Fiction will conduct a live version of the text-based adventure game “Lost Pig,” with characters acted by voice talents Tom Russell and Brad Smith. Gaming, gaming, gaming. It wouldn't be a game convention without a tabletop hall. Bring your own to play with other gamers, try out your new acquisitions right there in the festival, or check out one of many titles available in the festival library. This program aired on September 12, 2013. The audio for this program is not available.